Last week, the Belarusian army newspaper Vo Slavu Rodiny published an article praising the newly received Russian warplanes. However, these Russian aircraft are a step backward compared to the equipment that Belarus already had. 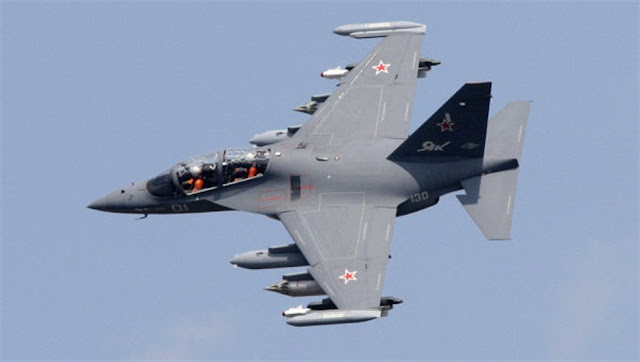 President Lukashenka recently publicly complained that the Kremlin had refused to give Belarus a dozen aircraft. The Belarusian authorities therefore are delaying the establishment of a Russian airbase in Belarus. Minsk trying to convince Moscow to give it newer aircraft. According to an article published by the Russian news agency Sputnik on 17 August, Belarus and Russia had already agreed technical and legal details on establishing a Russian airbase. The two sides reportedly have prepared a draft agreement.